I am delighted to report that a new book, co-authored by my long-time colleague, John Mills, and myself was published in London last week by W H Allen. 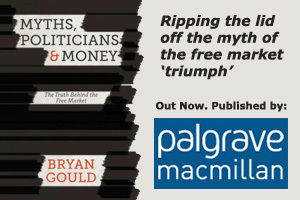 The book is called “Call To Action” and comprises a powerful argument for addressing the major problems that have now held back the British economy for decades. Those problems include a damaging loss of competitiveness, a policy blind spot on the importance of the exchange rate, a perennial and debilitating foreign payments deficit, the perilous decline of manufacturing, and the futile focus on the government deficit as the prime goal of policy. The book provides a carefully researched case for taking action now before it is too late and could offer the way to better outcomes following the May election.